J & J Nichol is a family business and was established in 1970. In that time, we have developed an enviable position in now being one of the main structural steelwork and cladding engineers in the North of England. We can offer a complete structural package including design of steel framed buildings and cladding systems, fabrication, transportation, steel erection and cladding installation, including project management. Areas of operation are throughout the North, including Cumbria, South Scotland, Lancashire, Northumberland, County Durham, Tyneside and Yorkshire. We have our own drawing office and team of draughtspeople and are licensed users of Stru-Cad structural design software. All steel fabrication is done in-house and our extensive facilities and team of approximately 50 skilled and certified operatives can enable in excess of 125 tonnes of steel to pass through our doors every single month. 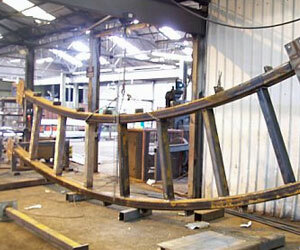 We can handle maximum length standard beams and cellular beams and can also store these at our own premises. In addition, our welders are fully certified to BS EN ISO 15614-1 2004 and all of our steelwork conforms to the National Structural Steelwork Specification. 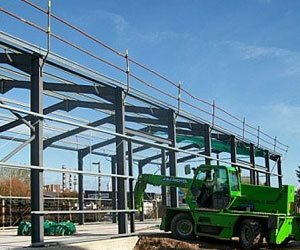 Full on-site structural steel erection is done by our own skilled workforce, as well as roof and wall cladding installation, for which we are trained and approved by Kingspan. We are capable of the design and installation of a variety of systems and profiles, including composite panels, single skin sheets, built-up systems and tile effect roofs. We are able to transport the vast majority of all material ourselves and have a full fleet of approved access plant, cranes and machinery. Owing to the above, not only can we respond quickly to individual requirements, but are also able to offer very competitive prices, allowing you to complete your project on budget, on time. Please take a moment to browse our website, which includes a sample of current and completed projects across the area and will hopefully give you an idea of the high standard and scope that we work to. For any enquiries, please do not hesitate to contact us where we will be happy and ready to assist you as best we can.